Freedom is simple. History is on our side. Fantasy is safe. These simplistic quarter-truths helped pitch Britain into a political crisis, and encouraged the social network to ignore a slew of warning signs. Sadly, the damage done by weak thinking is hard to undo. 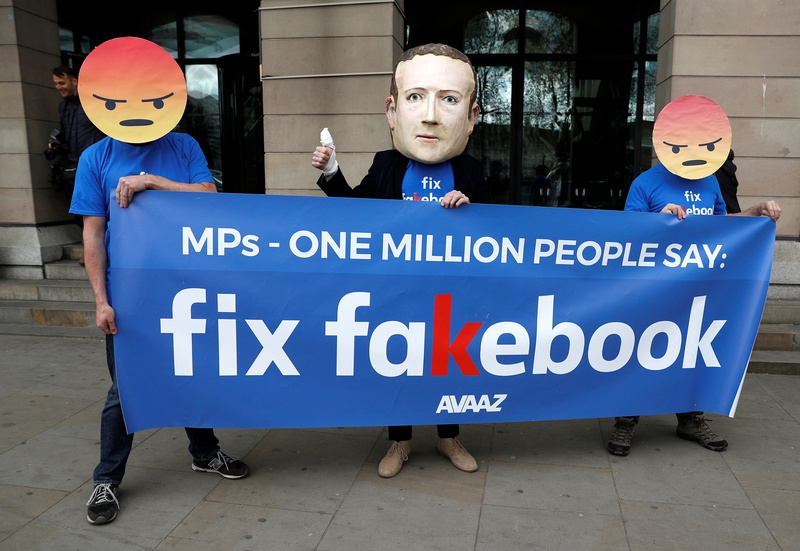 Protesters from the pressure group Avaaz demonstrate against Facebook outside Portcullis House in Westminster, London, Britain, April 26, 2018.